Why Awareness is so attractive! | Awareness Now! Before any thought or feeling arises, we already exist. Yet feelings, thoughts distract us continuously, as we identify with them. You are bothered by them. Basically much of our life is like that. We think this is our natural state. But is it? Since most of mankind lives like this, we don’t question it. But please do! Ask yourself: where do these thoughts and feeling appear? In your mind. OK, ARE you your thoughts and feelings, or do they appear to you? Since they appear to you, you obviously are NOT them. You are witnessing them. In fact you can’t even predict what you will think in 5 minutes from now. Can you? It just happens. 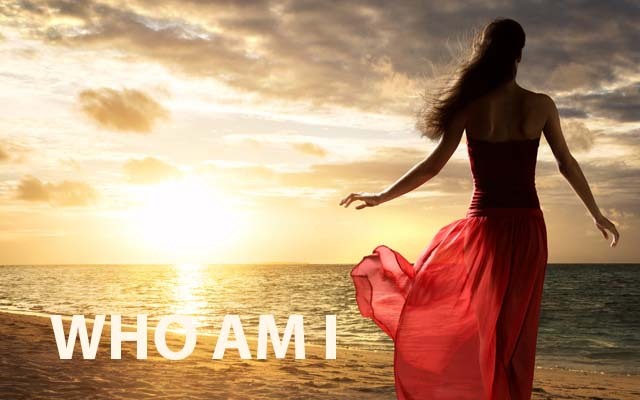 That brings up the existential question: “who am I“? Some people we may call mystics or awakened people, have discovered and realized that they are Awareness only and they say: YOU are Awareness only! You are not your thoughts or feelings. As long as you identify with them, you limit Awareness. You put a “filter” between what you really are, and Reality. You believe you are a separate self. You are bothered by thoughts, feelings and what happens. You move from one event (positive or negative) to the next, and time passes. Sometimes though, there is a moment, like a gap in your thoughts and feelings. Awareness is now crystal clear, no thoughts or feelings appear. You suddenly feel very sensitive, the world appears so bright and fresh. A sense of awe and wonder comes over you, you feel inexplicable Happiness. An energy tingles your spine. Time loses its meaning. You now experience Awareness only…it somehow brightens you. It is the potential that is always present. It has never ever not been there. Reality is limitless. @YOU: Do you recognize this? Next articleWho controls thoughts, who is thinking? Woah! I’m really loving the template/theme of this website. It’s simple, yet effective. A lot of times it’s very hard to get that “perfect balance” between user friendliness and appearance. I must say that you’ve done a excellent job with this. Additionally, the blog loads extremely fast for me on Chrome. Superb Blog! I simply want to tell you that I am just newbie to blogging and site-building and certainly savored this web-site. Most likely I’m want to bookmark your website . You surely have really good articles and reviews. Bless you for revealing your webpage. Anyhow, I’m certainly delighted I stumbled upon it and I’ll be bookmarking it and checking back frequently! May I simply just say what a comfort to uncover somebody that actually knows what they are discussing on the internet. You actually understand how to bring an issue to light and make it important. A lot more people should read this and understand this side of the story. I was surprised you aren’t more popular since you surely have the gift. and other stuff, is there any other web page which offers these stuff in quality? Remarkable! Its in fact remarkable piece of writing, I have got much clear idea regarding from this post. The Pittsburgh Steelers released running back Gary Russell. He was signed as an undrafted free agent in 2007 and played in 12 games last season. He also scored a touchdown in the Steelers’ Super Bowl win over the Arizona Cardinals. and yours is the greatest I’ve came upon so far. But, what about the bottom line? this web site contains amazing and truly excellent information in support of visitors. It’s always useful to read articles from other authors and use something from other sites. It is a good along with beneficial section of details. We are satisfied that you just discussed this convenient information here cara menanam saham di bursa efek indonesia. You should keep us informed like this. Many thanks for sharing. more? I mean Why Awareness is so attractive! | Awareness Now! titles to get viewers to open the links. You might add a video or a picture or two to get people interested about what you’ve written. In my opinion, it could make your posts a little livelier. Some genuinely nice and useful information on this web site, also I conceive the design has excellent features. tһanks foг sharing. . . . . .
Reading this info So i’m glad to show that I’ve an incredibly excellent uncanny feeling I found out exactly what I needed. I most undoubtedly will make certain to do not omit this website and give it a look regularly.